How easy is "easy"? You decide. All you have to do is use the app to select the songs you want lyrics for. 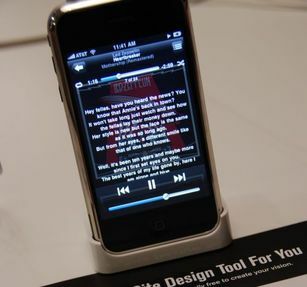 After the next time you sync your mobile device and your computer, your device will automatically display the lyrics for the songs you play. LyricsXpert works on your mobile media device without any dependency on a network, internet connection, or anything else.